The amp works good and I guess I would recommend it EXCEPT the left RCA input jack is has a poor connection unless I wedge something between the two jacks to put pressure on the left on so it works. And I checked and it's not the cable. I had to open it up and change the gain switch to the lower setting. It didn't distort but Audacity showed the levels were a little high. Instructions told me the switch was there. It does come with a backup tube. This preamp plays too loud, this flaw cause quite amount of distortion and harshness, but for 45 bucks can't ask for more. 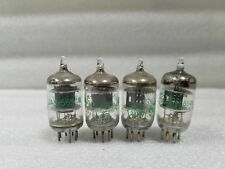 Will order a pair of Russian Valves and hope this could solve the issue. Wow, amazing power in a tiny package!! I just bought a vintage TT and hooked it it up to my 2000 or so HK reviewer using an old school pre-amp box and it was a disaster. I had a horrible hum even though I grounded the box. So, I was hyper vigilant about grounding the Little Bear. The sound is amazing and the output is I credibility loud, so turn down the settings before you turn it on. The sound is warm and heavy through my Boston Acoustics CR8’s. So, I’ll push off by a vintage amplifier for a few years. Does exactly as advertised. Needed a phono stage for occasional vinyl. Really shines by making your digital music sound great.